Love this casual look. The stripe top is so versatile!!! Don't forget to link up to my show me your favorite spring trend link up and enter my giveaway for a $300 gift card to Old Navy/Gap/Banana Republic. Love your blazer! And, this color combination! Such a great pulled together weekend errand outfit! Glad to hear you're little one is doing ok! 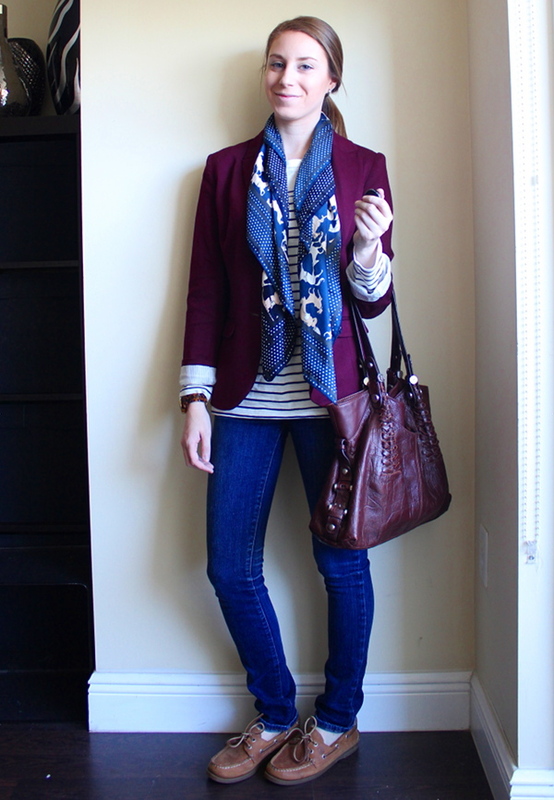 Such an intersting and vivid pattern mix you created with the scarf and the striped top. Also, just wanted to come remind you about Third Thursday Threads this Thursday - the theme is Spring Florals...and you know I'd love you to join!! I love the mix of colors and patterns here! Great combination!